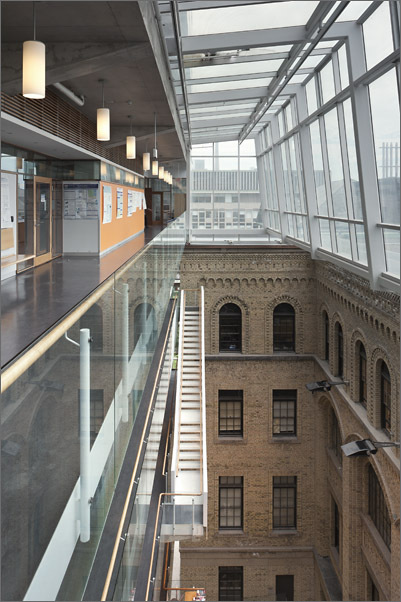 Every researcher at the Donnelly Centre will tell you that their work is accelerated because of the uniquely powerful ecosystem of discovery and innovation at the Donnelly Centre. The centre’s open concept space, state-of-the-art infrastructure, and its sheer concentration of leading thinkers result in inspired and collaborative research efforts. Nurturing and building this remarkable and results-driven community is our most urgent priority. Open concept space fosters collaboration among experts from diverse fields making breakthroughs possible Funding for leadership positions will ensure that we continue to boast some of the top minds from around the world in key positions. We seek support to create a Named Chair for the Director of the Donnelly Centre. This Chair will attract a leading global researcher and administrator who can drive coordinated research and academic strategies. Leadership support will also create several Chairs in key areas of research activity. a Think Tank that will extend the Donnelly Centre’s international stature and influence by inviting global scholars to twice-yearly conferences on interdisciplinary biomedical research. Gifts to the Donnelly Centre are an integral part of Boundless, the $2 billion campaign for the University of Toronto.